Apple, in every release of a new iPhone, has always released for sale a dock, which serves as a station for charging the phone (if connected to power or computer), or simply to support the iPhone. 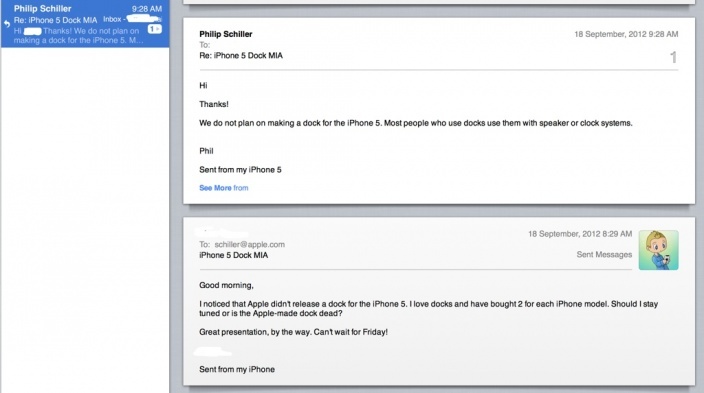 Apparently, Phil Schiller, Apple SVP of Marketing, has answered an email from a user asking if Apple will release a dock for the iPhone 5, as it still had not seen it in stores. Phil's response was negative. 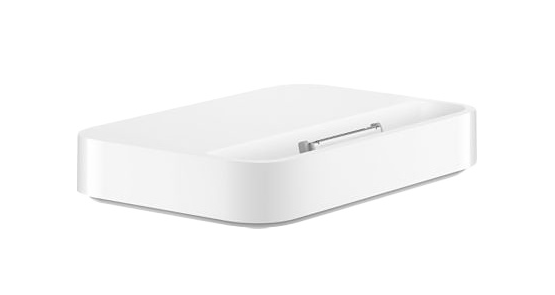 The rationale behind is that many users use as base stations or audio dock alarm clocks, reasons that do not seem enough and it's a shame because, without being comparable to quality sound audio station, the original Apple docks slightly improved output power and sound of the iPhone, and they served to listen to music or podcasts while the iPhone was loaded. Also, surely we will have many third-party docks weeks available on the web. Finally, Pay attention to the details of the signing of Phil, at least you have your iPhone 5.